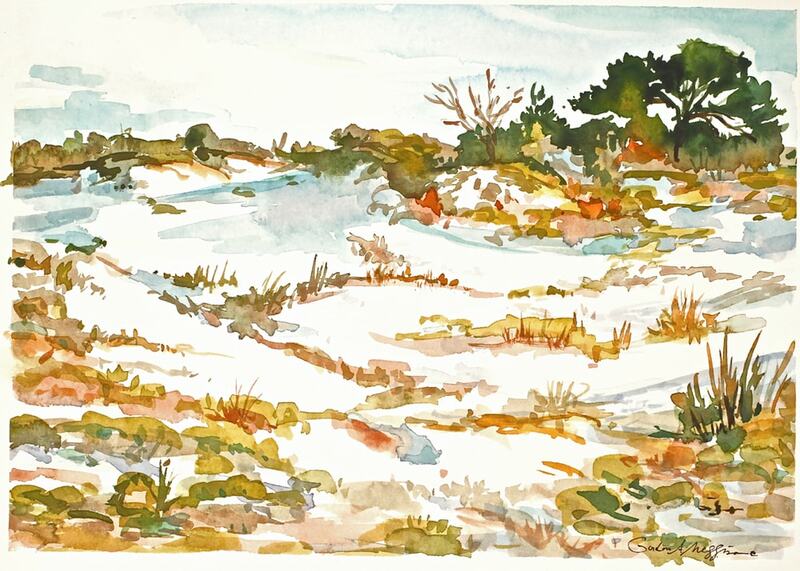 Talbot Dunes is a 14"x10" watercolor of the Talbot island dunes on 140 lb. Arches cold pressed paper. (See the "Wall Preview" option below the print size tab, then explore your designer wall color with the art). On the way to Talbot island you pass this dune on the way, I have always enjoyed its architecture and undulating lines. (See the "Wall Preview" option below to select your room type, size preference and wall color for a better view relative to the art).